[S2] GRO Indexes to Births. "GRO Online Index: 1907/Q1 WELLS-GARRETT, Arthur Edwin MOSS Lambeth 1d 280." [S2] GRO Indexes to Births. "GRO Online Index: 1910/Q3 WELLS-GARRETT, Richard MOSS Southwark 1d 5." [S2] GRO Indexes to Births. "GRO Online Index: 1887/Q3 WATTS, Percy Victor DAWES Lambeth 1d 336." [S5502] Website FindmyPast: 1939 Register: RG101 0529B 010. [S5744] E-mail from Louise Wells-Garrett to Stuart & Teresa Pask dated 12 November 2018. [S3] GRO Indexes to Marriages. 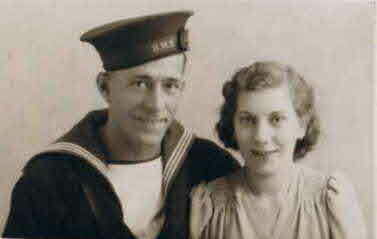 "1941/Q2 WELLS-GARRETT, Thomas = DILLON, Daisy Southwark 1d 52." [S4] GRO Indexes to Deaths. 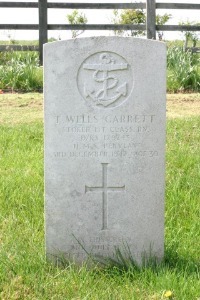 "1942/Q4 WELLS-GARRETT, Thomas Kingsbridge 5b 286 age 30." Son of Arthur Eward Wells-Garrett and Ellen Wells-Garrett, of Southwark, London; husband of Daisy Wells-Garrett, of Southwark. Cemetery/memorial reference: Sec. 5. Grave 173. [S2] GRO Indexes to Births. "1943/Q3 WELLS-GARRETT, Thomas DILLON Southwark 1d 8." [S2] GRO Indexes to Births. "GRO Online Index: 1881/Q1 PREECE, Walter Charles HUNTING Lambeth 1d 354." [S5039] Website Ancestry: 1939 Register: RG101 0516D 009. [S2] GRO Indexes to Births. "GRO Online Index: 1911/Q3 PREECE, Lilian Florence WELLS-GARRETT Southwark 1d 110." [S2] GRO Indexes to Births. "GRO Online Index: 1912/Q1 PREECE, Walter Richard John WELLS-GARRETT Southwark 1d 77." [S2] GRO Indexes to Births. "GRO Online Index: 1914/Q3 PREECE, Alfred Charles WELLS-GARRETT Southwark 1d 89." [S3] GRO Indexes to Marriages. "1934/Q4 WATTS, Percy V. = DOSWELL, Alice M.L. Southwark 1d 73." [S4] GRO Indexes to Deaths. "1965/Q2 WATTS, Percy V. Lambeth 5d 104 age 52." [S2] GRO Indexes to Births. "GRO Online Index: 1912/Q3 DOSWELL, Alice Maud Louisa TUNR Shoreditch 1c 47." [S4] GRO Indexes to Deaths. "GRO Online Index: 1915/Q2 WATTS, Arthur Alfred Southwark 1d 65 Age 0."